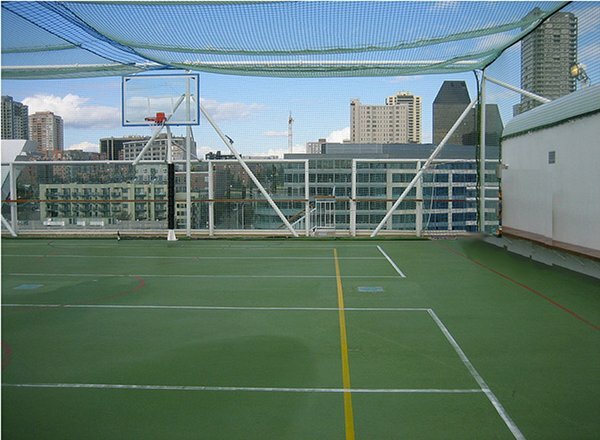 The Sports Deck features a golf driving net, shuffleboard court, basketball court, a children's play area and pool, observation lounge, as well as Ginza, East Meets West, Sushi Bar & Restaurant, Teppanyaki, Champs Bar, Las Ramblas Bar and Restaurant, and Le Bistro. 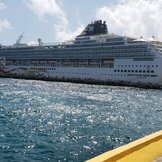 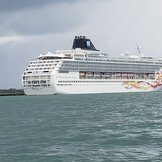 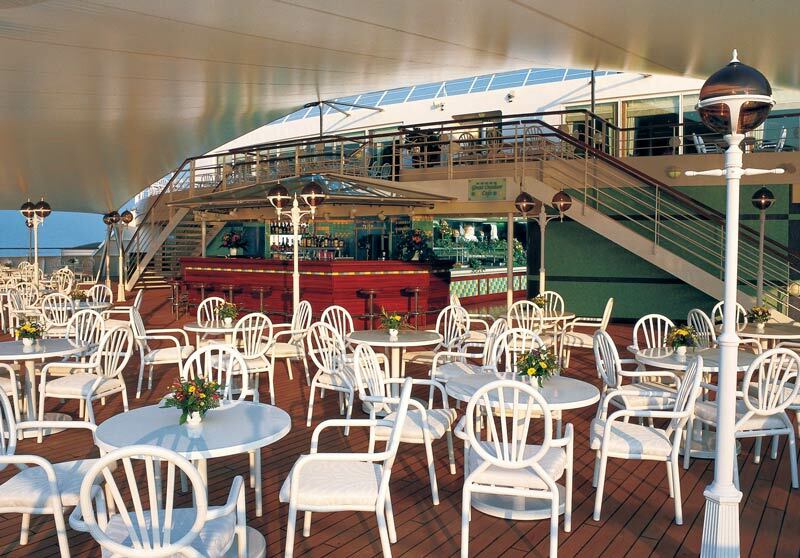 The Pool Deck features staterooms in categories SB, MB, MX, and BC. 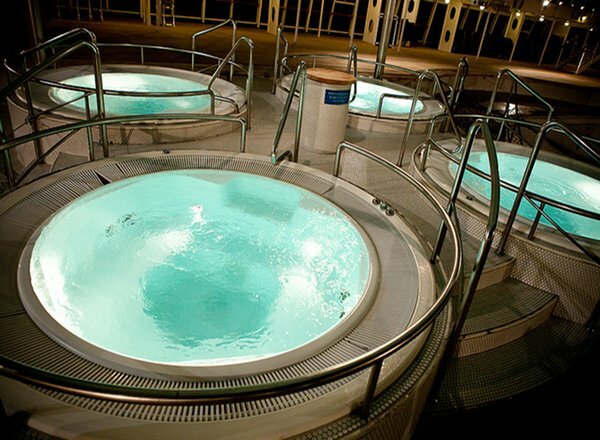 Two pools and four whirlpools are also here, along with a video arcade, fitness center, spa, beauty salon, Pacific Heights Restaurant, sports bar, the Garden Cafe, and more. 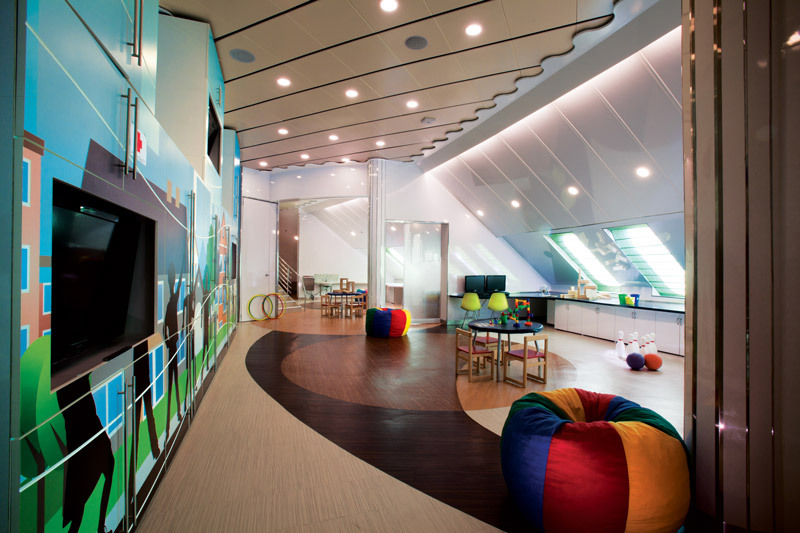 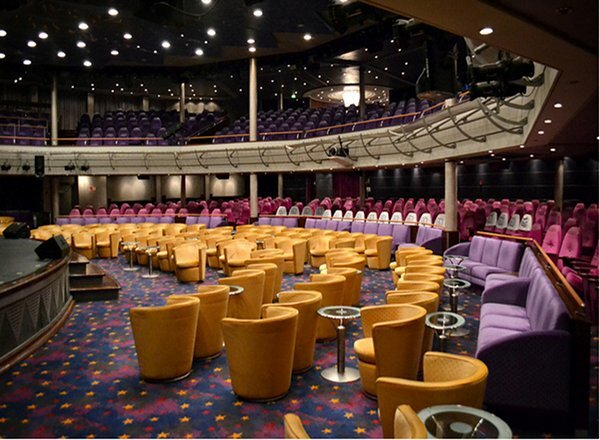 The Norway Deck features staterooms in categories SE, M1, B1, B3, BA, BC, IA, IB, ID, and IE. 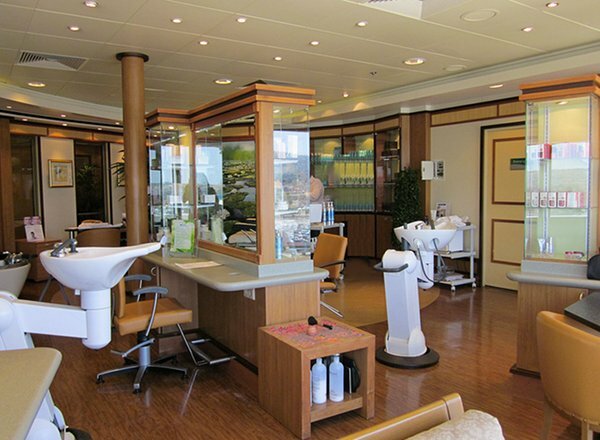 The Fjord Deck features staterooms in categories SE, SG, M1, B1, B2, B3, BA, BD, OA, I1, IA, IB, ID, and IE. 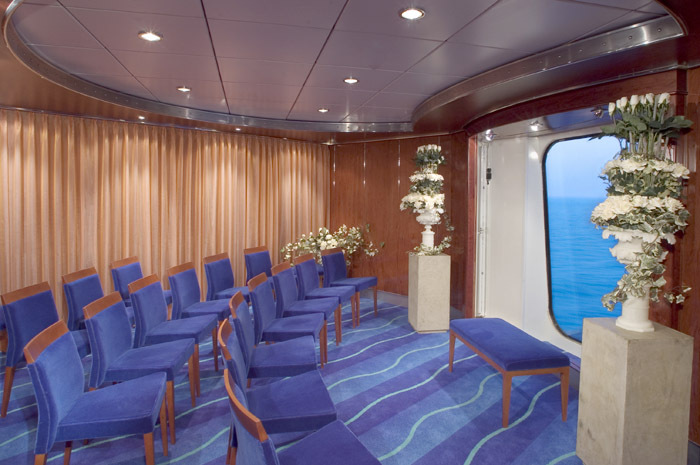 The Viking Deck features staterooms in categories SE, SF, SG, M1, B1, B2, B3, BB, BD, BX, O1, OA, I1, IA, IC, ID, and IE. 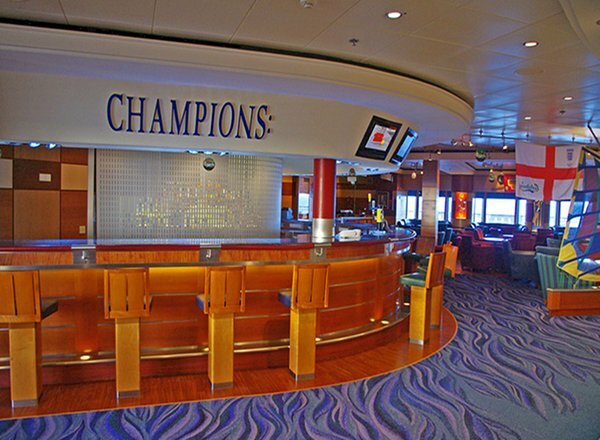 The International Deck features staterooms in categories OC, and IE. 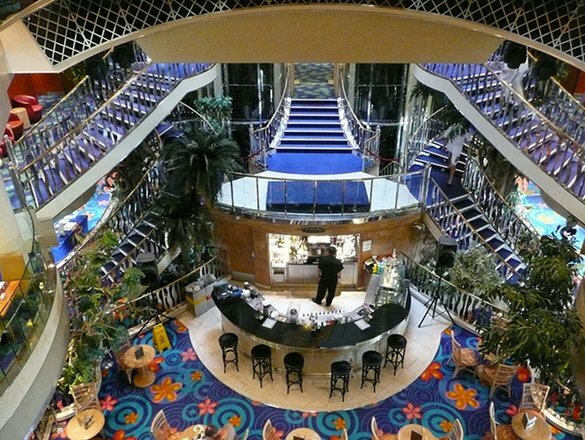 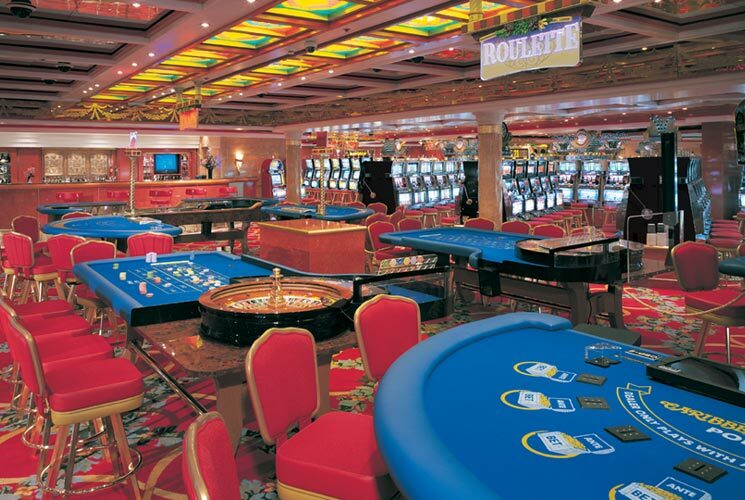 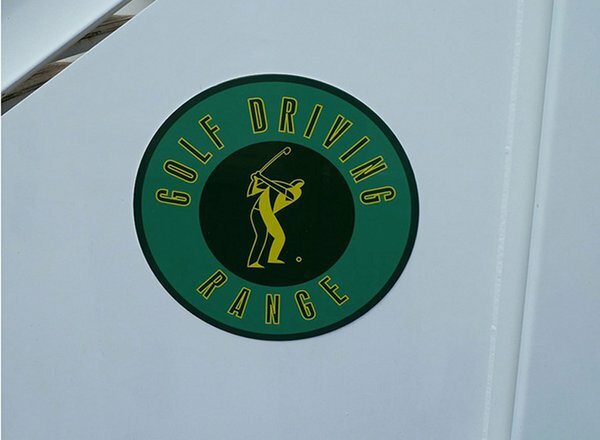 The shopping arcade, Sun Club Casino, Arium Bar, Champagne Bar, upper level of the Stardust Lounge, art gallery and the Kid's Korner are all located here as well. 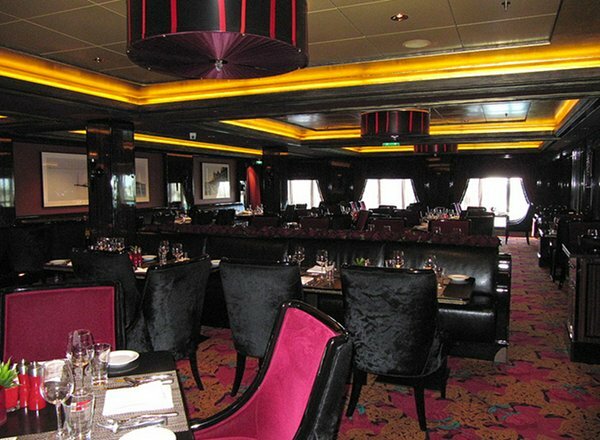 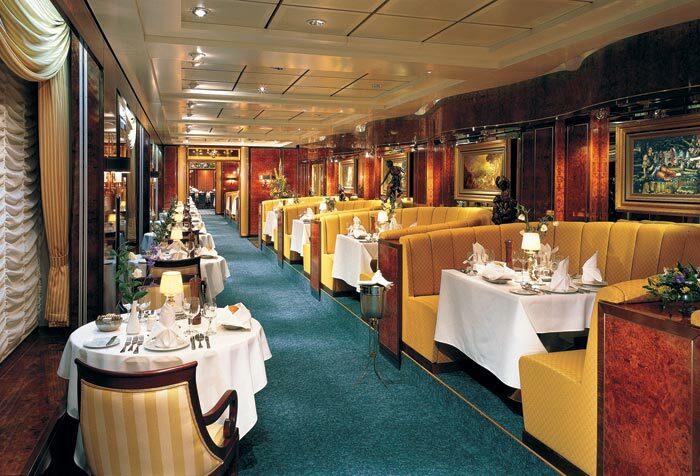 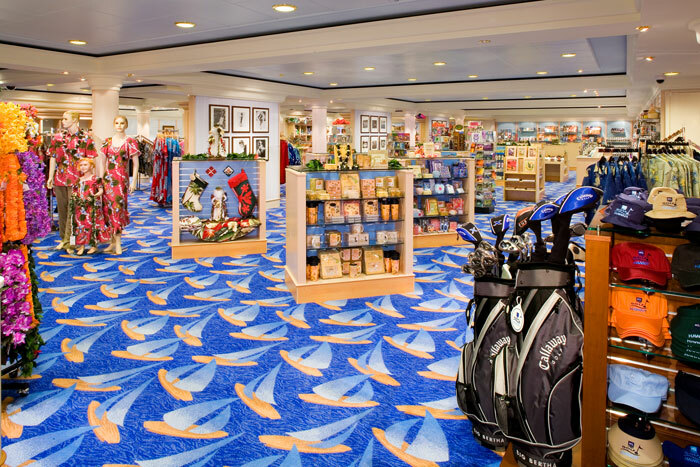 The Promenade Deck features staterooms in categories OK, and OX. 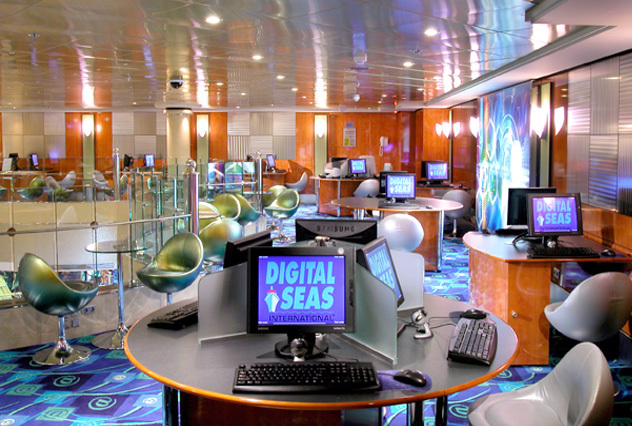 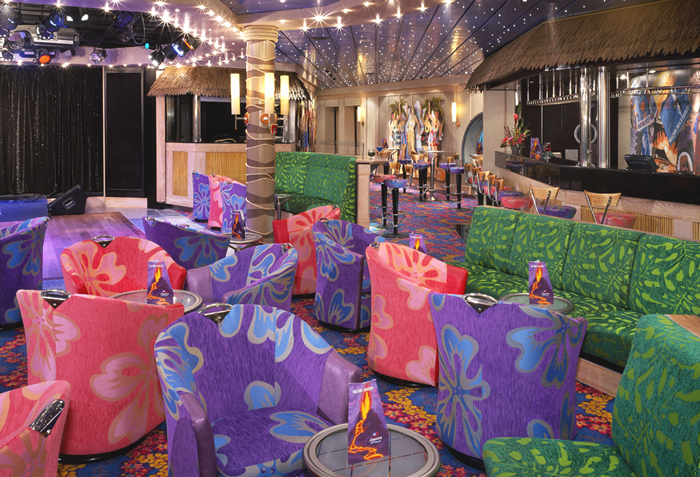 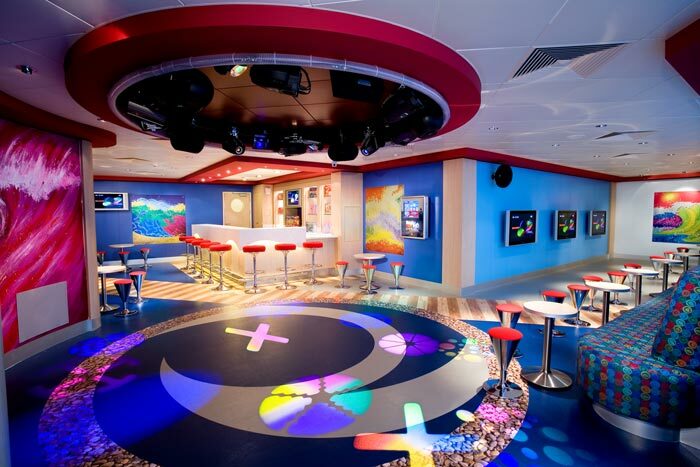 You'll also find the Stardust Lounge, the library, photo gallery, Windjammer Bar, internet cafe, Dazzles Nightclub and conference rooms. 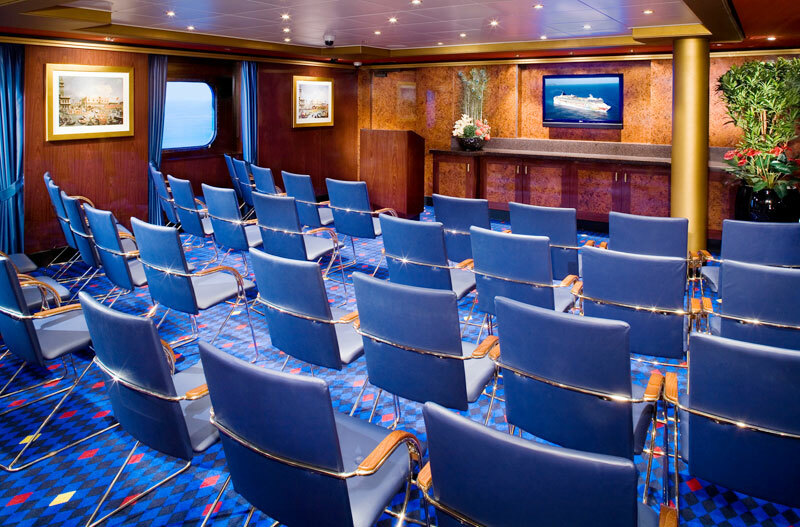 The Atlantic Deck features cabins in categories OE, and IF. 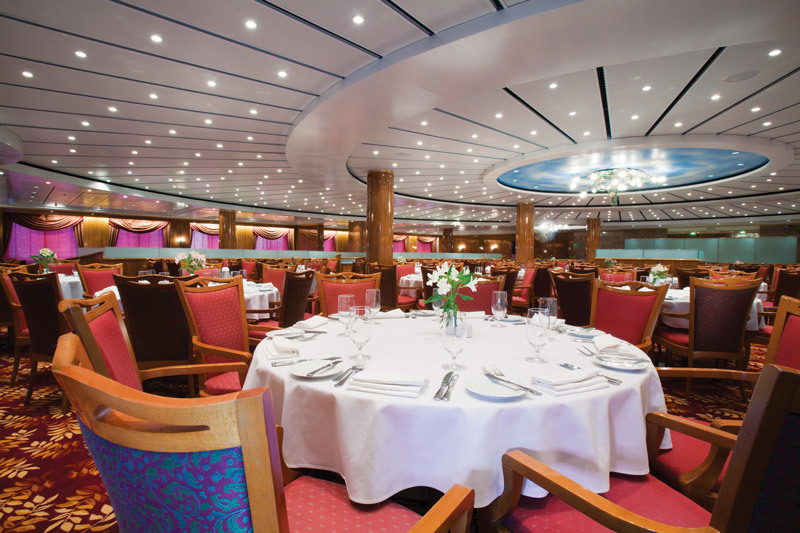 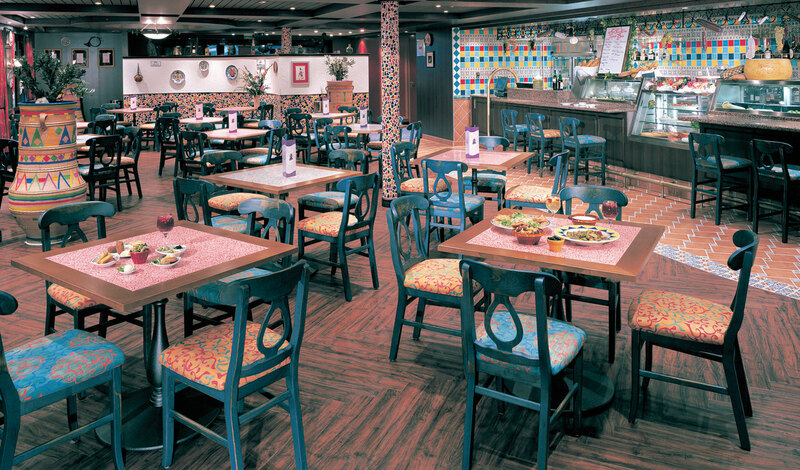 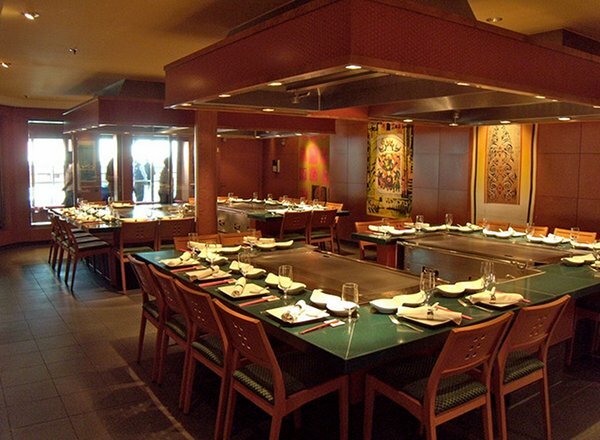 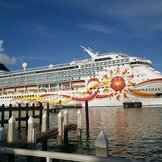 Also included are the Four Seasons and Seven Seas dining rooms, iL Adagio Restaurant, Java Cafe and the Shore Excursion Desk. 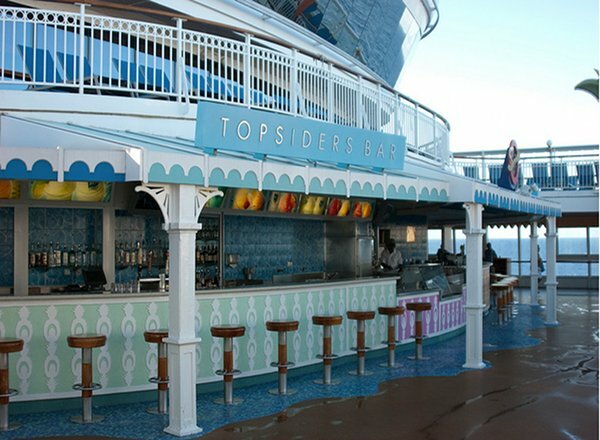 The Biscayne Deck features cabins in categories OF, OG, IC, ID, IF, and IX.